We all know Ombre is a French word that seems to be very popular in recent years. Ombre means a hair trend that features a darker and natural hue at the hair root, while a dyed light color at the ends. Many celebrities love this hair, such as Raven Symone, Chanel Iman, etc. Here, Vincent, who is a professional hairstylist, will talk about three things you should consider before get the Ombre hair. 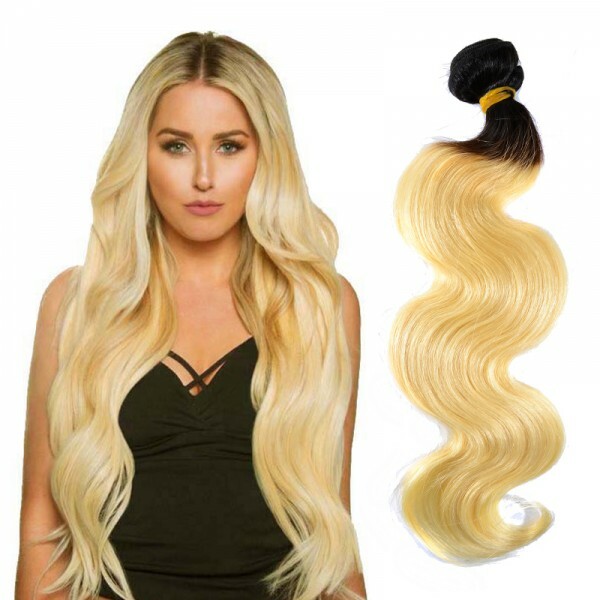 This Ombre color style has become more popular when pop star Nicki Minaj began to rock Ombre wigs that were faded from royal blue to blonde, lime green to blonde, and purple to pink. If this style of coloring has been done appropriately, the Ombre will work perfect for you, however, you should know the following things if need to be completed in your favorite salon. First, consider your current job and future profession before go with such bold hair shades. Thankfully, those star celebrities have started a trend by wearing these grow out colors, so this makes it much easier for us to choose which shade is right if you do not have enough time to go to the salon store every week. Please be remember, the more creative the coloring shade a person choose, the more attention she will get. Second, choose shades that are close to your skin tone, or will compliment your skin color. A person could choose more than two colors to shade for their Ombre effect. On New Star Hair, there are a large variety of coloring shades for you to choose, including #613, Grey, T1b/4, T1b/4/27, 1B/99J, etc. There are some suggestion according to different seasons, such as in warm months, a person should be prone to lighter and vibrant shades, while in winter months, grey and cooler tones are more proper. For beauty who has a dark chocolate skin tone, those shades like deep red, coppers or ash will do. For caramel-coated skin, depending on career, rich brown and coppers are good choices. Third, if your hair has ever been dyed before, then it is hard to achieve the Ombre hair successfully, you need some color correction. This famous look sometimes can be done at home, but it is more necessary to visit a professional salon for the best result. Where to get Ombre hair? About New Star: it is a famous hair company that was founded several years ago, their product line is wide, from extensions, weaves to frontals, closures and wigs. The biggest advantage is all hair products are using 100% real human virgin hair, which feels silky, soft and thick. Another reason why their hair could be delivered to clients in a short time that is usually 2-3 working days is they have store locations in New York and Atlanta, so they could ship hair to their USA customers in an immediate way. Every woman with thin and short hair wants their hair become longer with extensions, in a natural and seamless way, so finding a trusted dealer that offers good quality hair will be the first thing you should consider.